What’s Traction? A social network of left-leaning folks who want to meet progressive, passionate peers and spice up the activism scene together. We throw fun, issue-based events that inform, inspire, and connect us with what other savvy progressives are doing in the area. Sometimes, we create our own adventures. Other times, we crash events already planned by the amazing nonprofits and progressive groups in the area. Movies and discussion over beers, meeting local elected candidates, attending marches, checking out local art events, playing kickball while learning about nearby development issues, picking blueberries and strawberries and raising our awareness of insecticides—you get the idea! 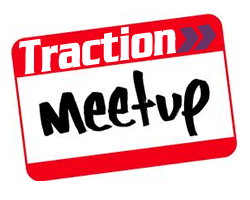 If you fit the profile, and you want a piece of the action, join us over at our Meetup! You’ll get e-mails about our events and about progressive causes and chances to support them. We’d love your support in any form! Contact us to volunteer to help with an event or donate something specific.